Subtitling is the process of adding text to a variety of video materials. It is usually the step following transcription, where the conversation or its translation is placed over directly onto the video. Subtitling is converting video into text with exact time codes. The two types of subtitling are intralingual (vertical) and interlingual (diagonal). In intralingual subtitling, the subtitling language and the spoken language are the same. While in interlingual subtitling, the subtitling language and the spoken language are different. Shan continuously hires talents and train them to be multi-skilled to offer you the best service. Our subtitling services aim at preserving the connotation and context of the original description and put across that in same or another language. 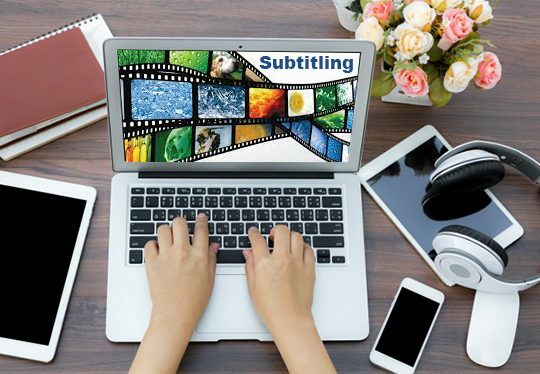 We are well equipped to provide you subtitling services in any format without deviating from the primary focus like the speed of reading, characters-per- line limits, and timing and positioning of text.